Welcome to Issue No. 9. Well, this issue has something a little bit special! Three Guest Designers have contributed 10 fabulous projects to the magazine. Flick through the pages and you will see Debbie Steven’s distinctive style with her cards made featuring the Kensington die set, just beautiful! Hop along and take a look at the innovative and quirky projects that Anna Higgingbottom has created using All Laced Up die (we love the Trainer) and the Crib die. Then mosey on down to see Barbara Greenhalgh’s simply amazing paper folding project to create a stunning Trinket Box, you have got to have a go! As well as the aforementioned projects we have some gorgeous ideas to inspire you, especially if you need a wedding card, a card for a “princess”, a gardener, a cat lover or just a pretty card to say hello, sorry, get well and so on. I think we have covered quite a few events and occasions this time. 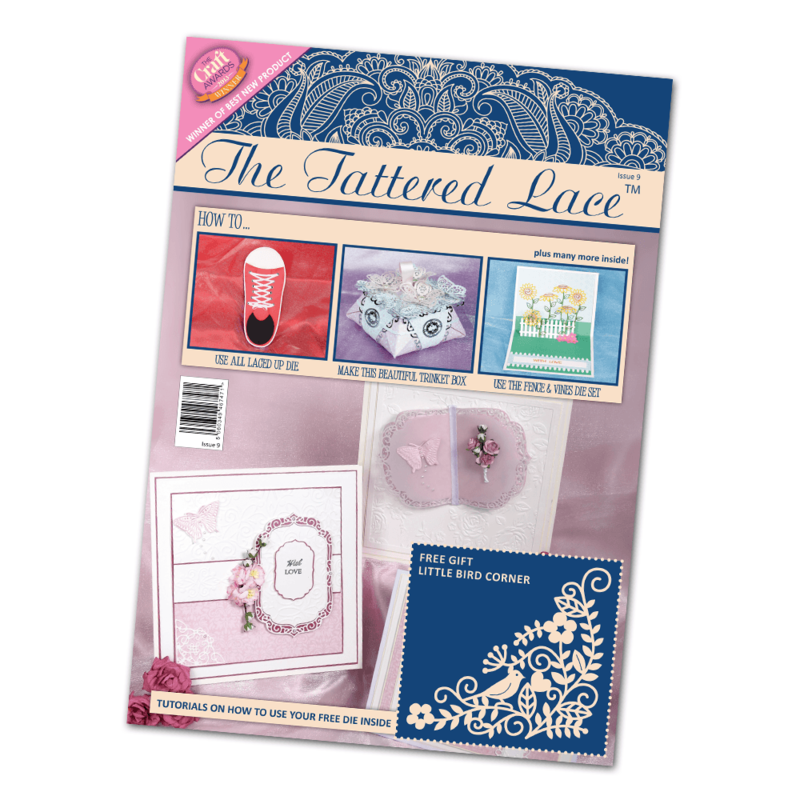 Don’t forget the very lovely Little Bird Corner die, your free gift with this issue. Now this is a very useful one for the craft room. A few ideas how to get the best out of this die is included in the 27 projects. Hope you enjoy reading and having a go!